Many vintage quilts were designed in honor of a quilter's home. 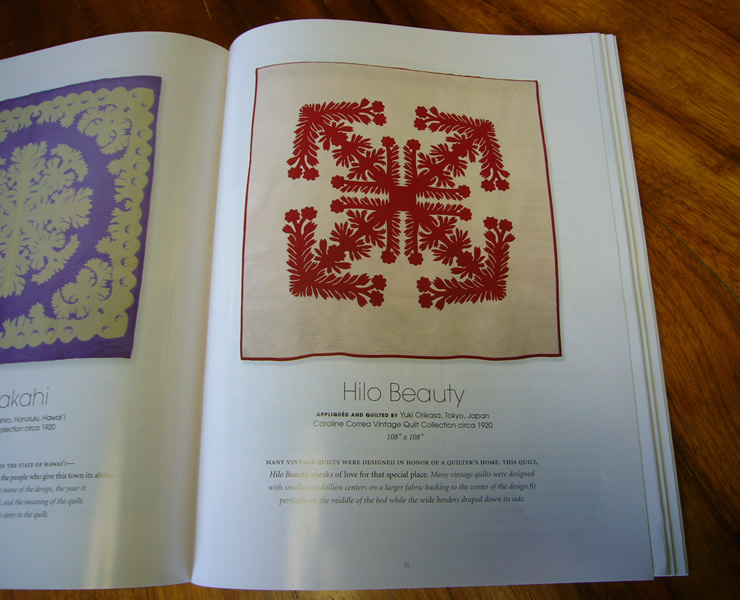 This quilt, Hilo Beauty, speaks of love for that special place. Many vintage quilts were designed with smaller medallion center on a larger fabric backing so the center of the design fit perfectly on the middle of the bed while the wide borders draped down its side.